Kentucky Whittaker Creations: Annie's Creative Studio - FREE Trial! 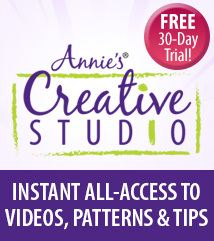 Annie's Creative Studio - FREE Trial! Hey - it's Mona here. I wanted to write a quick post to share about this free trial! Annie's Creative Studio is a a NEW online video streaming service from Annie's. Not only are there videos, but you have access to patterns and written tutorials, too. You'll be able to watch all episodes at any time and as many times as you'd like. Each week, new video episodes and patterns will be added. 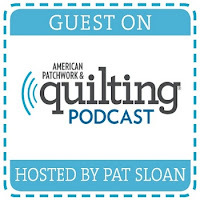 As one who has only been sewing/quilting for a little over a year, this could be very helpful to me. I just signed up. Note - you will need to enter your credit card information, but it will not be charged unless you don't cancel your service. If you want to cancel - there is a button to click under "My Creative Studio," then "Manage Membership." Just click the button before your next month starts and you won't pay! I'm not sure how long they will be offering the free trial. Head over and sign up for your Annie's Free Trial now!